Ecommerce Development - Ecommerce Software Reviews And Assistance. 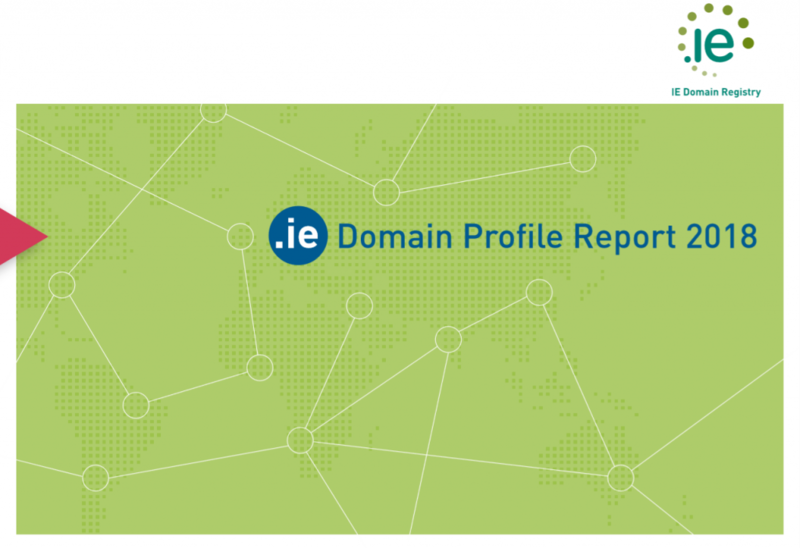 51,040 new .ie domains were registered in 2018, up +29% on 2017, according to the latest .ie Domain Profile Report, published today by IE Domain Registry, the company that manages Ireland’s country domain, .ie. The total .ie domain database recorded 262,140 active domains at the end of 2018, up +10% on the previous year. Net growth for 2018, which measures .ie additions and deletions, was up +60% on 2017. In many Border, Midlands and West region counties, new .ie domain registration growth was higher than in Dublin. Leitrim recorded the highest overall YoY percentage growth in the country (+65.5%). Laois experienced growth of +43% and Roscommon +33%. Dublin registered the lion’s share of new .ie domains in 2018 (20,353, or 43%), followed by Cork and Galway. The number of .ie websites with SSL security certificates increased by +37.9% quarter-on-quarter (Q3 vs Q2 2018) after Google Chrome introduced a new feature that warns users about potentially unsafe sites. *All data refers to period up to 31 December 2018. For further information, download the full .ie Domain Profile Report 2018. Easy to customise – cPanel has various themes that can be installed, or you can create your own themes and custom branding to give your cPanel a unique look. Effective – anything you need to do can be done with cPanel. Compatible – works with all web enabled GUI-based operating systems, and works on desktops, laptops, netbooks, tablets, and smartphones. Feature-packed – cPanel comes with a rich variety of pre-configured extras that will make it easier than ever to create your dream website. Routing – you’ll need this feature if you’re going with a non-standard configuration, such as if you are receiving or sending emails through a third party system. Filtering – you can create rules for how the server should respond to incoming messages based on the sender, subject, or other criteria. Filtering at the server level can be preferable in most cases, because it prevents unwanted messages being downloaded to your devices, saving you bandwidth. Authentication – DKIM is an authentication technology that attempts to automatically verify the sender of an incoming email message to help protect you from spam. SPF is used to authenticate your outgoing messages to help avoid spam messages being sent out through your domain. It’s recommended to leave these settings on, but they may block messages that don’t fit the rules. Encryption – You can create and use PGP keys to use with your emails. Forwarders – you can automatically forward incoming messages to another domain. Autoresponders – these are used for automatically replying to an incoming email. These should be used with some caution because there are times when automated responses are appropriate and times when they are not. Thumbnailer – automatically generate thumbnail versions of all the images in a directory. Scaler – if you forgot to scale your images to be server friendly before uploading, this tool will allow you to do that. Converter – if you uploaded your images in the wrong format, use the converter to change them to the correct format. All the big name CMS packages are present, including WordPress, Joomla, Drupal and many more. Using a CMS is not strictly necessary, but if you do want to use one, it’s good to know that it is so easy to install directly onto your site this easily. There are powerful mainstream e-Commerce packages too, including PrestaShop, Magento, Zen Cart, BoxBilling, and more. For bigger businesses there are enterprise level tools including ERP and Project Management solutions. Many of these have a clear focus on IT businesses, while others are more general in nature. Feng Office is probably the most general of the available options in project management. There are ERP tools for CRM (YetiForce, SugarCRM, Vtiger, etc), accounting (FrontAccounting, Akaunting, WebERP), HRM (OrangeHRM, Jorani), and collaboration (EGroupware, GroupOffice, Tine, etc). Educational organisations will also find software aimed mainly at their industry, including classics like Moodle, Chamilo, ATutor, TCExam, eLabFTW, and many others. There are also tools for hosting video collections, music, social media platforms, multiplayer games, and even personal cloud storage solutions (eg. OwnCloud, NextCloud, etc).